It's important to note that even among hospitals and medical centers there are going to be huge differences in safety needs. For example, an emergency room in rural Kansas is going to have different security concerns than an emergency room in the heart of New York City. However, healthcare facilities, by nature, share several common traits that make Visitor Management extremely important, whether you're in the plains of the Midwest or the heart of the city. 1. Hospitals serve a vulnerable population, making security essential. It goes without saying that the majority of people in a hospital aren't exactly operating at 100%. Whether it's patients who are recovering from illness, visitors who are feeling emotional turmoil over a sick loved one or employees who are feeling the effects of a stressful day, the people inside a hospital at a given moment are usually pretty vulnerable. This vulnerability makes it even more important to ensure that these people are kept safe at all times. Your patients, visitors and staff have enough to think about without worrying about their safety. You also have to consider what would happen in the event of an emergency situation, like an intruder or active shooter: these people, who are already preoccupied, are likely to have trouble reacting quickly or following directions. While safety is also going to be key at facilities in other industries, the level of preoccupation and stress is often markedly different. For example, workers in an office building aren't (for the most part) going to be experiencing the same level of stress as hospital personnel. The best way to keep your vulnerable population safe is to take steps to keep threats at bay, and one of the best ways to do that is by installing a comprehensive Visitor Management system that helps deter nefarious characters and stop incidents before they have a chance to occur. 2. Sprawling hospital campuses mean there are usually multiple points of entry. These days, calling a modern medical center a "hospital" is almost misleading. In the past, a hospital was usually a single building, and while it could be fairly large, it was just a single building to manage. Today's bustling medical centers are closer to college campuses than single-building operations. 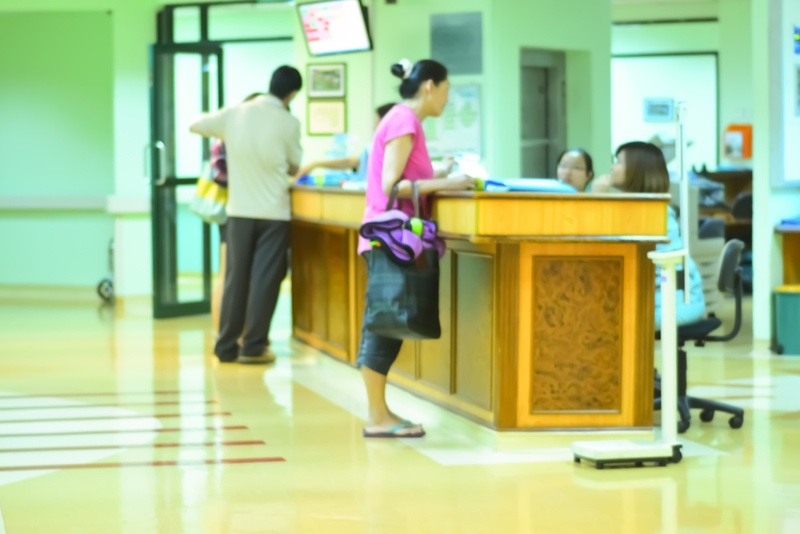 A major medical center in a major city is like to spread over the area of a few city blocks, housing all kinds of facilities: urgent care centers, medical offices, testing laboratories and more. Each part of these campuses comes with its own entrances and exits, creating a variety of opportunities for troublemakers to enter your facility. With these campus buildings often connected by walkways or tunnels, medical centers can't afford to have even one unguarded point of entry. If your campus buildings are connected, think of it this way: your security check-in process is only as strong as its most vulnerable point. At facilities like this, it's not good enough to only have a visitor check-in station at the main entrance. A guest who knows he or she may appear on a watch list could simply access your campus through an unguarded door in another building then make his or her way into the main building that way. 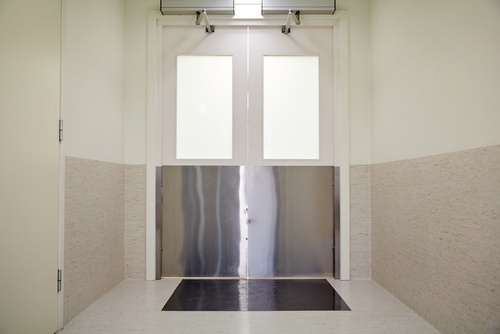 Multiple doors mean multiple threats; staffing each door with a Visitor Management installation is a great way to ensure that a door doesn't become a vulnerability. 3. Frequently welcoming visitors is an important part of running a hospital. Visitors are a key part of many businesses and industries. Whether it's a visiting lecturer at a school or a vendor at an office, guests help make the world go 'round. However, some industries must be more inclined to welcome guests than others. It could be argued that the healthcare field is among the most reliant on successfully welcoming guests. If a small office decides one day that it isn't accepting visitors anymore, it's not likely to create a big stir. Business will go on with little interruption. However, if a hospital decided that guests were no longer welcome, it would be an outrage. After all, it seems completely absurd to bar a guest from visiting an ailing family member. To put it plainly, you can't have a hospital without having visitors. This makes having a solution for verifying and monitoring those visitors essential. It's in the best interest of your staff, patients and the guests themselves to make a guest's visit a pleasant one. When a facility knows its going to have a large number of guests, it's important to have a system in place to make sure that welcoming guests doesn't come at the cost of facility security. Interested in learning more about healthcare Visitor Management, or in getting information about how our Visitor Management solutions would benefit your site? Our team of Visitor Management experts is available to provide you with any information you may need via phone or email — free of charge.